If they’re not from Kenshuusei, they won’t be able to withstand the hardships of such rigorous work and they’ll just end up quitting anyway. There’s some truth to what she’s saying. Couldn’t you just follow them while they’re Kenshuusei if you want to see their growth so badly? It’s true though that they have them out in the open way too much for being just trainees. 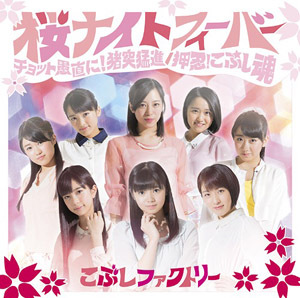 To the wota, there’s not that much “freshness” left about them by the time they debut. That’s pretty much a Tsunku-ism what she said there. Even Ayaya spent half a year training before her debut. That’s why she was able have that kind of quality even at 14 years old (which is just a miracle). And she kept improving in huge amounts for the next year or two. Morning Musume is the only group who can afford to have a complete amateur debut. This is why everyone was so crazy about Uta-chan. She was a fresh face. And yet, it was too much for her. It’s not often you find stars like her, so when you do, it’s safer to just have them train starting from when they’re young and get them ready. I think the only thing they really need is just a bit of initial training and discipline. Anything more than that, it does them more harm than good. Musume is a group that has the best of both worlds: they’ve made their performance skills their selling point, but they’re also an idol talent group. They have to represent both those aspects about them. If people talk only about one of those things, that’d mean they were a failed production. Zukki’s the only one of them who was a complete amateur, right? When I see people such as Sato and Nakanishi, I can’t help but agree with what she’s saying. Especially so for Sato. The good thing about the Kenshuusei system is how they can get their faces and names out there and keep them training for half a year or so — during this time they can find out if she doesn’t know how to behave, or they’ll have people from her town or from the internet disclose if she has a weird past. They save money by not having to hire a private investigator do any digging about her. I think it’s pretty obvious they need to have at least some skill if you’re going to put someone out there in front of people and try to sell them to that audience. I know there are a lot of people out there who are fans of the non-skilled members. I’m not that fussy about skill either, but it’s not good if the majority of the members can’t do anything. I realized this when I saw Tsubaki and compared them to Kobushi, who have several members who can actually sing. (Though I do like the members of Tsubaki.) And Tsubaki, too, trained before their debut. When I look up some underground idols, I only rarely find someone good. Most of the time it’s just bad lip-syncing and they try to sell the group through opportunities to touch the members and them acting like hostesses towards the fans. That’s not something I’m looking for in H!P. It’s not like Kenshuusei members are the only girls out there who have any skills. Some of them have been in chorus singing clubs in school or they’ve done ballet or whatever so they can sing and dance well. It is fun watching the growth process. Girls like Maa-chan or Kananan just made you worried in the beginning, but now they’ve suddenly become these members who are just irreplaceable in ANGERME and Momusu. Or, girls like Gaki-san or Sayashi who had really childlike voices but can now sing even those low bass tones. Or someone like Reina who could sing well from the get-go, but was completely expressionless and emotionless in her delivery, who can now actually make those expressions. Or someone like Ikuta who was a completely worthless dancer in the beginning, but has now made so much progress and is also pretty funny, too. The girls from Kenshuusei are so great from the beginning, you don’t really see the room for growth as much. I think the reason people are moved when seeing stuff like Sayu’s “Akai Freesia” or Berikyuu’s “Ganbacchae!” is because you can see how much they’ve grown from that time at the very beginning when they couldn’t do a thing. Now with girls like Inaba and Murota — girls who’ve been praised from the moment they debuted — there might not be that sense of moving nostalgia even later on down the line. H!P used to be about debuting the underachieving amateurs — that was the “H!P-ness” of the past. Nowadays, “H!P-ness” is about choosing the girls who are already perfect from the beginning. Well, I guess change is only inevitable. I think it can work as a mix. Some idols can be good from the beginning and others can have that very visible improvement from useless to reliable. Girls like Inaba and Murota def have their audience, as do the raw and new faces. I also feel like there’s room to improve even after moving on from being kenshuusei,at least I hope so, because not all of them have THAT impressive vocals, dancing or expressions, depending on each individual. And some things will come only with the actual experience of being in a group. With that being said, many times in the past that a girl I was excited about as an Egg or KSS debuted, I sort of lost interest after they actually did. But I see a change now more recently with Angerme and the Factories and even Country Girls and I wonder if it’s just a matter of getting used to it, this continuation from a trainee to a professional. Oh well, idols are serious business etc.! Well they can have both. Complete amateurs and already trained girls. They don’t have to isolate characteristics, each girl added shall be followed by certain kinds of people. Sure girls like Masaki certainly mark a soft spot, but hadn’t been there Ai-chan, Reina, and even Sayashi- girls who are already good from the beginning and was entrusted the center- there’s no one to look-up to and Masaki wouldn’t even yearn to grow. Airi who’s capable since audition turned out to be one of the greatest performers too, and the entire H!P is looking up at her. I’m actually somewhat surprised to see so many people say that complete amateurs might not be fit for idol biz, with a hint to Uta. I thought the Japanese fans were more into super fresh stuff and awkward girls that you can watch over. When it comes to comparisons between °C-ute/Berryz and Tsubaki I think they’re wrong. Berryz had Miya and °C-ute had Airi, kids that were already somewhat good. Also, they basically have trained in their pre-units, like Aa!, ZYX, etc. However, they were also just that – kids. Children. Some of them not even teenagers yet. Tsubaki is a group full of girls that are in High School (or reach HS soon like Kiki). It’s not really fair to compare. you cant be a total amateur and have the company wait on you till you are able to utter that first note thats not totally offtune. they have a busyness to run and although they can afford to take on the ultra cutie with a “spiky” character (cough shige san cough) but who cant sing a note and just manages to dance above average…yeah thats 1 person among 12 is gonna be an exception to verify the rule. nothing more. picture a morning musume with 12 shige sans. all cute. none can sing or dance or act. have the company wait for them for 1-2 years. profit? it wouldnt work and the girlpickers would have to be super espar to be able to tell which girl is going to blossom and which girl is gonna turn out bad. amatauer or not. all girls will grow up and evolve. like pokimon. and you ll get to experience that either way. Haha! H!P-ness. I see what you did there. Maachan was inexperienced but she was spotted lots if potential. Utachan however, full of mysteries. Some of those replies make it sound like all new H!P members now have years of experience and all the kinks worked out. That’s definitely not true. As an ANGERME guy Aikawa and Kamikokuryo immediately come to mind, which is fully half of the members added in the last few years. I think you can generally draw a line between when members are added to a pre-existing group (like a new MoMusu or Angerme generation), and when a completely fresh group is debuted. When adding to an existing group you already have plenty of senior members who can provide the skills and stability, but it’s best with a newly-debuting group to have at least some of the members already with some prior experience in order to have at least something to rely on. This approach isn’t something new to H!P’s history, either. I’m not very familiar with back at its origin when MoMusu and the first groups were formed, but not long after when for example Berryz and C-ute formed and debuted… All those girls had already had at least a couple years experience and training as the H!P kids before debuting as their own group. 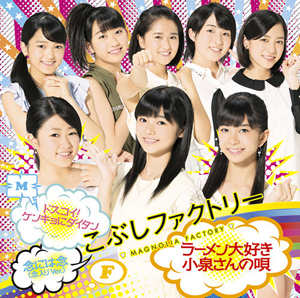 Moving forward S/mileage was originally comprised of members who also had a good amount of experience – all had been in the Eggs, Yuuka/Aya/Maro had been in Shugo Chara Egg, and Yuuka had even been in High-King. Then again, when does “becoming an idol” start? Lol. As has been mentioned, with the attention on the training programs since Kids they’re really idols once they start that, but certainly get a good amount of training before actually doing much. However, they’re still “fresh” upon debut in a major group. the difference now tho is eggs back in the day didn’t have so much going on, you’d only see them in the summer/winter h!p concerts and the occasional tamago show n that was more or less it. for me personally its nice to have a mix of both trainees and “unknown” girls. the best example is 9th gen, like u had riho who was unkown(if u don’t count her being in fashionable the yr before)but had some experience thanks to the Hiroshima performance school, mizuki who was an egg, and then eripon and zukki who were both completely inexperienced. they’ve all improved in their own ways but to see how far eripon and zukki have come in the past 5 yrs is pretty amazing. There’s no single formula for a good idol. And it’s not like the trainees stop growing after they debut. I think idols should be given training but only a little bit like say maybe a year. I like all the comments about Masaki, who has had the biggest development. I definitely agree she wouldn’t be where she is without Reina, and Riho. Basically if you want a fresh girls, look at the KSS. They seem to get more time nowadays and some of them are brand new. But even then there are senior members. Without this concept we may never have had idols like Konno, Michishige, Kana and Maachan… These 4 and some others looked absolutely worthless in their auditions and I thought there was no way Tsunku would choose them and when he did I couldnt understand why… But thats what makes Tsunku Tsunku, he can see hidden potential where others cant… Flash forward a few years later and these so called failures who would never amount to anything became superstars instead which is what the idol journey of H!P is all about or used to be about. 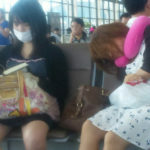 It doesnt mean Tsunku hasn’t struck out a few times with a few idols who shall not be named cause i dont wanna make some people butthurt but thats also what makes the idoll world so interesting..
Kanana and Maachan didn’t look useless for the whole of their respective auditions – in fact, it was the progress and drive that they showed throughout the process that earned them their debuts. That’s the point of the training camp. Time flies, time changes.. In the past, management chose really fresh member from the audition, and then they’ll transformed into idols. But after Kenshuusei era, management tend to chose “complete resources” from them, rather than direct auditions. I’m not surprised when new girls chosen and debut in a (almost) perfect performance. J=J, Country Girls, Kobushi, Oda Sakura are the examples. Historians of the future will rank Sayumism as one of the greatest ideology of the 21st Century.